In 2016 The Femicide Census: Redefining an Isolated Incident prepared by Deirdre Brown and supported by Women’s Aid, was published. The Report drew on Karen Ingala Smith’s painstaking collection of the names of the 598 women killed by men who were current or former partners between 2009 and 2015 in England and Wales. When Roxanne Ellis saw this report she was so moved she decided to go onto social media and suggest making a quilt to commemorate these women. 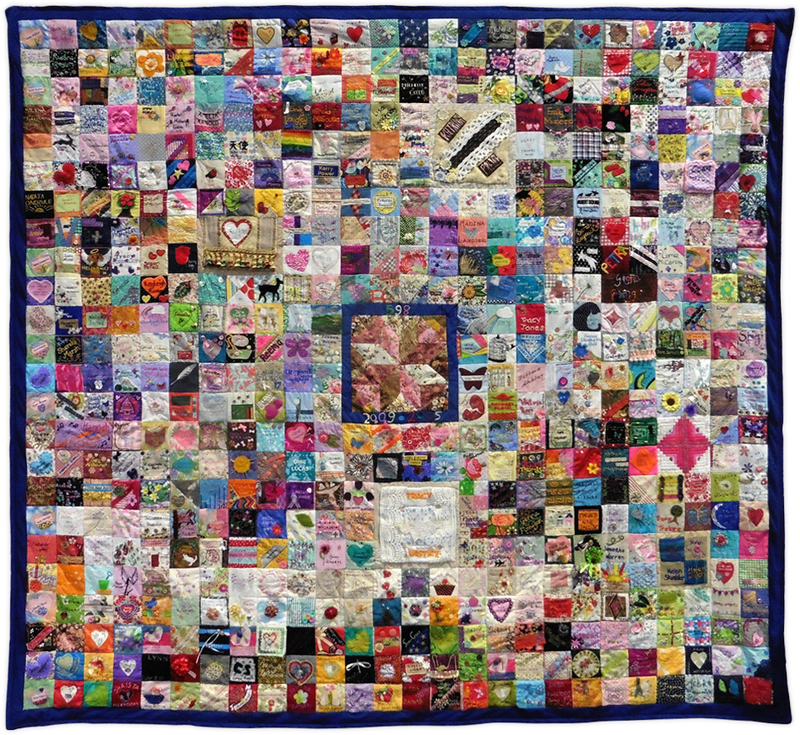 Positive responses flooded in from as far afield as Australia and within a very short time a square had been sewn for every one of those 598 murdered women. Made into a quilt they provide a striking and touching memorial.